Psychopaths are not always murderers imprisoned in jails or unbalanced as we have seen on television. Narcissists are not always womanizers with expensive cars. They could be the ordinary people living around you- your colleague, a family member, your ex or anybody who tortures your brain. You could have met that person who swept you with their charm. The way they behaved with you made you feel special like no one has ever before. Be careful! Psychopaths are no different than shape-shifting chameleons. They are capable of changing their behavior according to the needs of their target. They can resort to flattery or just being shy and sympathetic, whatever helps them capture the mind of the target. Remember no matter what they show themselves to be, it is never a true image. 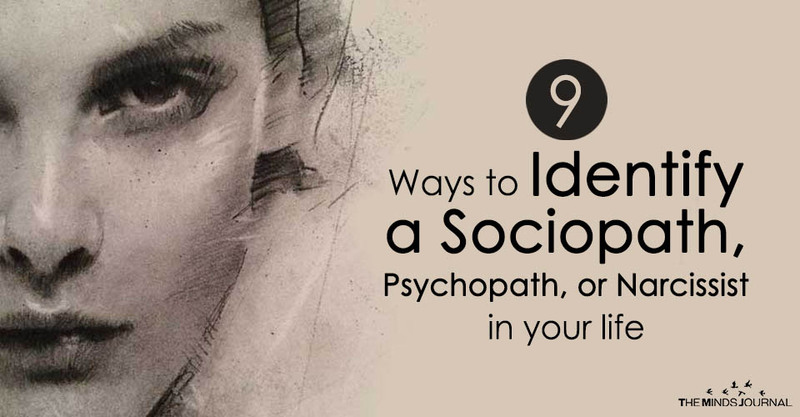 Psychopaths will turn you “crazy.” Yes, they will, if you are not careful to take care. They will create chaos and then quietly sit at one corner. You will be surprised when they will blame you for reacting. Because of the trust they build, you believe their words to be true and when you react at their provocation they haughtily tell you, “not having this discussion with you again.” Naturally, you feel nothing but a hypersensitive fool. Slowly but surely they will use these falsely created reactions to turn other colleagues against you. They will use your reactions to prove how crazy and hypersensitive you are. They will use these tricks to gain sympathy from their targeted individuals who they want as their future mates. Psychopaths are compulsive liars. They simply can’t help it because it is ingrained in their characters. They will tell a different story even when the actual story would be a better one. Shifting personas is, constructing stories and lying is part of their self. If somehow you catch them with proof, they will use it against you and question you blatantly and brand you as over-analyzing and paranoid. Anybody with normal behavior will feel guilt and remorse for doing things that psychopaths do, cheating, manipulating, stealing. Psychopaths don’t feel any regret for what they do to other. They do it because they know behavior harms other and that is why they enjoy it very much. If there is a psychopath in your life and you have ever received an apology from them, be sure it was for saving themselves from a worst situation or if they knew the act will help them gain something from you. Psychopaths have no attachment to anybody. They are not capable of feeling love and being loyal. They are so full of deceit that they can forge a friendly and committed relationship with anybody and then replace them instantly when required. The victim always feels an immediate closeness and excitement with them. They make their target feel how special and different they are from all the crazy people in their life, but when time comes they are very quick to declare the victim just the same. As a psychopath moves on, they leave stories of destruction behind them, but they always blame their victims for everything. A psychopath wants all the attention and this they do by turning people against one another. When you are the target of a psychopath you will find not liking anybody around you, not even the people you have never met. Psychopaths continuously inject venom and false stories into their surroundings, making each person jealous and distrustful about the others. !!! Took a lot of reading, a lot of soul-searching, but I finally identified that narcissist!